Garage Express offers a trusted and reliable service, repair, maintenance and MOT for the famed Ford Transit van. Garage Express is conveniently located in North West London, providing easy access from Stanmore, Edgware, Wembley and Brent Cross. 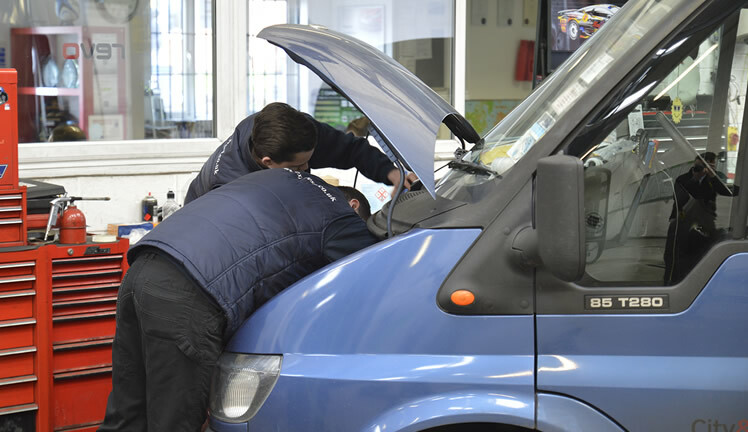 We have a highly experienced team of technicians that focuses on delivering a rapid turn-around service on your Ford Transit van, ensuring you will have a minimum amount of time off the road. A courtesy van is available free of charge. We offer free local collection and delivery service from work or home. We offer discounts for fleets of vans – call 0208 905 8788 for details. Located in North London, our Van Department has a dedicated van ramp that can lift Vans up to 3.5 tonnes allowing us to service, repair and MOT your Ford Transit van (up to Class 7) for as little as £40.00. We are also carry out services, repairs and MOTs for the smaller Class 4 from only £34.95. If your Ford Transit van does not pass the MOT test first time, all our re-tests are free of charge and all parts used are either genuine or OE quality and come with a minimum of 12 months or 10,000 mile warranty. This helps to give you peace of mind and you can rest assured that our servicing will not affect your manufacturer’s warranty. We understand that your business requires all your vans to be running smoothly, so our Ford Transit van service has an out of hour’s key drop off facility to help make leaving your Transit Van with us even more convenient. Please ask us for details either by speaking with one of our team on site or by calling 0208 905 8788. If you would like to wait while we work on your van, we have a comfortable waiting lounge which includes free Wi-Fi so you can maybe use the time to catch up with some admin. With a drinks machine, snacks, TV and customer toilets, our aim is to make your time with us as comfortable as possible. We have a strong working relationship with a range of leasing companies, where our services help to keep their vehicles safely running, this has provided us with valuable experience in supporting customers with larger vehicle portfolios. As we are part of the 1Link Network, we welcome leased vans and fleet customers. As part of our policy to provide excellent value for money for our customers, we offer discounts to customers with two or more vans. Should you decide to lease a new van or fleet of vans, we have established a strong working relationship with a leasing company in order to negotiate highly competitive rates for our customers. Please ask one of our team for details or call 0208 905 8788. 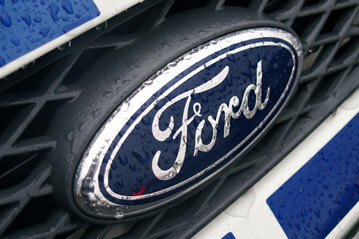 Our Ford Transit Van Servicing team will ensure your van is always up to the job. Book your Ford Transit Van Servicing, MOT or Repair with our quick book form below or call our team on 0208 905 8788. J. Fourie, Fleet Manager, Fleet Van Servicing Customer, North London. You have not only met, but surpassed our expectations. Your team is always friendly, polite and professional. The technicians always conduct thorough inspections and any work done in maintaining the vehicles or replacing parts is done to the highest level.